only to be injured and retarded in its growth by the succeeding frost. Whenever the subject of the connection between physics and metaphysics is discussed the name Nikola Tesla is inevitably brought up. To many he is seen as either an ﻿Eastern mystic or scientific visionary who was working toward communicating with extra-terrestrials and developing Star Wars weapons. This comes from both an incomplete understanding of both the man and his work. ﻿Nikola Tesla﻿ (1856 – 1943) has been called the genius who ushered in the electric power age. 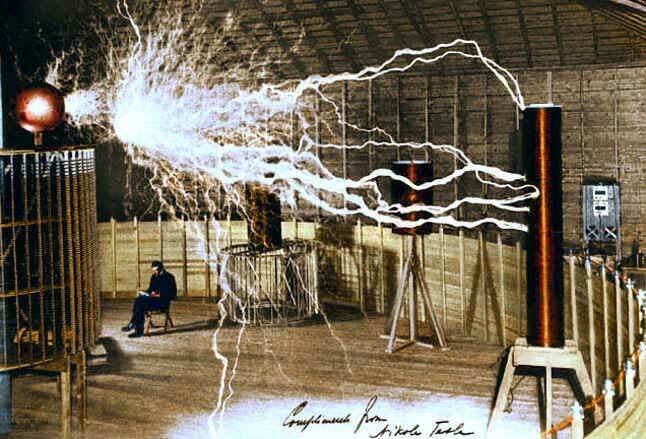 Tesla's pioneering work revolutionized the power industry by developing not only a complete system of induction motors, transformers and transmission lines, but also in 1891 with his invention of the “Tesla Coil” he was able to build a high frequency, alternating current generator, capable of producing high voltage electricity, that was safer and less expensive to operate than any other generator ever conceived. This invention quickly led the way, in 1896, to the building of what still stands today as perhaps his greatest visible monument, the powerhouse at Niagara Falls, New York which was able to generate more electricity than the combined power of all the other generating stations then operating in the United States. Unfortunately because of his eccentric personality, Nikola Tesla's work was never fully understood in his time. Because of such seemingly fantastic claims by Tesla of being able to produce “free energy through the wireless transmission of power” by tapping into the natural electric resonance of the Earth and because of his assertion that Einstein's “theory of relativity ” was fundamentally incorrect about the nature of matter and space, Tesla’s work was never truly appreciated. Only now, when discoveries in the field of physics have validated how correct Tesla was about concepts like the big bang, wormholes and String Theory can we appreciate his visionary understanding of the workings of the universe. Perhaps more importantly, we can also appreciate the cost to an energy hungry world for failing to follow up on Tesla’s promise of “free energy”. Understandably, it can be imagined that the failure to follow up on much of Tesla’s research was not merely the result of people being unable to understand his work. With Tesla’s idea of free energy and an electric car there were people who not only understood what he was doing, but for their own purposes did not want the public to understand what he was doing. Those giants of industry making enormous profits from selling energy and the machinery that ran on it to the uniformed public wanted to keep them uniformed about what Tesla’s work could mean to them. Tesla not only suffered at the hands of those who profited from suppressing his work, but also from those who appropriated his work and passed it off as their own or, for one reason or another, failed to pay Tesla the royalties due on the patents for his inventions. When Tesla first arrived in the United States in 1884 he went to work for Thomas Edison at the Edison Machine Works where Tesla was offered the task of completely redesigning the Edison company's inefficient direct current generators. Tesla claimed he was offered $50,000 (roughly $1.5 million today) for he making improvements to the generators, but In 1885 when Tesla inquired about the payment for his work, Edison replied, "Tesla, you don't understand our American humor” and Edison refused to pay Tesla anymore than his $18 per week salary. But, that was just the beginning of the trouble between Tesla and Edison. In 1886, Tesla formed his own company, Tesla Electric Light & Manufacturing with the aim of creating an alternating current generator, but his financial investors disagreed with him on his plan and he was dismissed from the company. In 1891, the same year he invented the Tesla Coil, Tesla began working for George Westinghouse at the Westinghouse Electric and Manufacturing Company. At the 1893 World's Columbian Exposition in Chicago, in a display devoted to electrical exhibits, Tesla and Westinghouse introduced visitors to AC power by using it to illuminate the Exposition. This was a direct challenge to Edison's promotion of direct current (DC) for electric power distribution and despite Tesla’s seeming victory with the success of the power plant at Niagara Falls and the adoption of alternating current as the standard of electric power distribution; the result of this "War of Currents" between Edison and Westinghouse left both parties nearly bankrupt. In 1897, Tesla released Westinghouse from paying him the patent royalties for use of his inventions and Tesla went on to other work. Tesla continued research with his Tesla coil and soon discovered that he could transmit and receive powerful radio signals when they were tuned to resonate at the same frequency and by 1895 Tesla was ready to transmit a signal 50 miles from his 5th Avenue laboratory in New York City to West Point, NY. Tragically, much of his research was lost in a fire that destroyed his 5th Avenue laboratory in March 1895. Meanwhile, in England, a young Italian experimenter named Guglielmo Marconi had been building a device for wireless telegraphy. Even though it was said that his invention, “could not transmit across a pond”, Marconi was awarded the first wireless telegraphy patent inEngland in 1896. Later Marconi set up long-distance demonstrations, using a Tesla oscillator to transmit the signals across the English Channel. Tesla filed his own basic radio patent applications in the U.S.in 1897 and they were granted in 1900. Marconi's first patent application in America, filed on November 10, 1900, was turned down because of the priority of Tesla and other inventors. 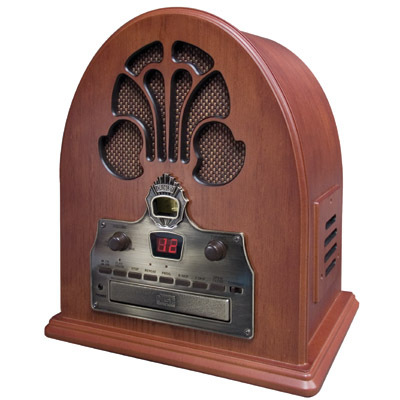 However, in 1904, the US Patent Office reversed its decision and awarded Marconi the patent for radio . When Marconi won the Nobel Prize in 1911 for inventing radio Tesla sued the Marconi Company for infringement, but was financially unable to litigate a case against what was now a major corporation. 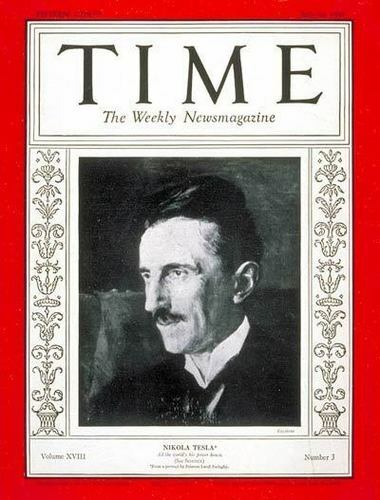 Sadly, a few months after Tesla's death in 1943 the U.S. Supreme Court upheld Tesla's radio patent, but by then it was too late for Tesla to receive royalties or even the public recognition of his work. In 1917 Tesla’s research established principles regarding frequency and power level for the first primitive radar units, but by the 1920’s Tesla’s work took a strange turn. Tesla began negotiating with the British government about turning his radar device into a “death ray” system. Tesla stated that the death beam would make war impossible by offering every country an "invisible Chinese wall". Frustrated in his attempts to generate interest and financing for his "peace beam," Tesla produced an elaborate technical paper, including diagrams providing the first technical description of what is today called a charged particle beam weapon. Whether Tesla's idea was ever taken seriously is still a mater of conjecture, but most experts today consider his device that would have required a series of power plants and was only effective for about 200 miles, was not practical. In later years, Tesla appears to have worked on what he called a "dynamic theory of gravity". He stated that he had worked out all the details and that he hoped to soon give it to the world, but the theory was still unpublished by the time of his death in 1943. Soon after his death Tesla's safe was opened and his papers and other property were impounded by the United States government. For many years researchers have sought after Tesla's missing papers with no apparent success and it is conceivable that whatever scientific discoveries Nikola Tesla made in his later years he may have taken it to the grave with him. There are two great tragedies regarding the life and work of Nikola Tesla. The first is that during his lifetime Tesla never received the public recognition he deserved for his work, nor did he receive the financial remuneration due him for the inventions he patented. By the time of his death in 1943 Tesla had become a sad figure, heavily in debt, living in a hotel room with the injured pigeons he found and cared for as his only companions. The second great tragedy is that while today Nikola Tesla has undergone a resurrection, becoming the subject of new interest, it is not out of recognition for the work he did do, but for the work some people want to believe he did. Soon after his death Tesla's papers and other property were impounded by the United States government, which ignited a firestorm of controversy amongst some conspiracy theorists who believe that his papers contained secrets about extraterrestrial ontacts , UFOs and Star Wars weapons. Other conspiracy theorists believe that Tesla’s missing papers contain Tesla’s revelations on the roots of Eastern mysticism. Though many researchers have sought after Tesla's missing papers with no apparent success there has been no shortage of so called Tesla researchers who claim not only to know the contents of these missing papers, but in some cases claim to actually be in possession of them. Tesla’s historic announcement of the exstence of what he said were extraterrestrial radio signals in 1899 was the apparent catalyst for creating the “legend” of his involvement with UFOs. Working at his Colorado Springs lab, Tesla observed unusual signals that he later thought may have been evidence of radio communications coming from Venus or Mars and he said that he thought his inventions could be used to talk with other planets. Though today it is generally accepted that what he was hearing was actually the cosmic background radiation that pervades the universe and is the principal evidence supporting the big bang theory. But, that explanation does little to dissuade those who want to believe the legend. Just prior to World War II Tesla produced an elaborate technical paper, including diagrams providing the first technical description of what is today called a charged particle beam weapon. Which lead some to the “conclusion” that such a weapon was developed, though modern attempts to develop such a weapon by both the United States and the Soviet Union appear to have failed. Some other maintain that Tesla’s missing papers fell into the hands of the Nazis who used them to develop flying saucers. 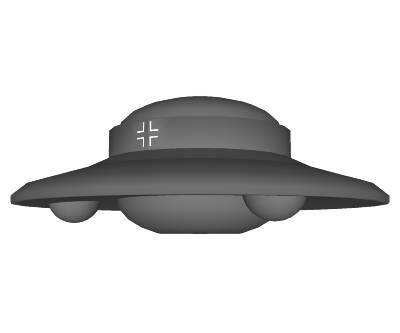 The latest variation on this story being that these Nazi UFOs were captured by the Soviet Union who crewed them with mutant children created by the Nazi “Angel of Death” Dr. Josef Mengele and then deliberately crashed them at Roswell, New Mexico in 1947 in order to deceive the United States into believing that they were being invaded from space. The other conspiracy theory centers around the belief that Tesla’s missing papers contain Tesla’s revelations on the roots of Eastern mysticism coming from his interest in Verdic philosophy . Tesla was supposedly so influenced by the Vedic teachings of Swami Vivekanand that Tesla began to use Sanskrit words to name some of his fundamental concepts regarding matter and energy. This is not so unbelievable an assertion; physicists are often very open to the idea of unifying the realms of physics and philosophy, as Fritjof Capra does in his book “The Tao of Physics”. Capra’s work centers on the similarities between the fundamental principles of quantum mechanics and the ancient Chinese philosophy of Taoism its the concept of Qi (or Chi) energy. The difference between Capra and Tesla in this regard is that while Capra acknowledges similarities between the concepts of physics and philosophy Tesla is being portrayed as not only recognizing the similarities, but as having become a sort of ascended master who unraveled the mystic secrets of the universe, which these missing papers supposedly prove. The lack of recognition received by Tesla during his own lifetime has made him a tragic and inspirational character well suited to dramatic works of fiction. Nikola Tesla has appeared as a character in books, films, radio, TV, music, live theatre, comics and video games and the impact of the technologies invented by Tesla is a recurring theme in several types of science fiction. The problem is that these are works of fictions and no one seems interested in portraying Tesla as he truly was. There is a line in the classic movie western “The Man Who Shot Liberty Valance” where a newspaper reporter says, “When the legend becomes fact, print the legend”. That sums up quite well the modern legacy of Nikola Tesla.